and may be reproduced for educational, non-commercial use only. 1. The UNIFIED FIELD. Newton, Lagrange, Coulomb and Maxwell all gave us UFT's. 2. RELATIVITY. Relativity is true; many of the equations are not. The muon, lightclock, Minkowski, Friedmann, Pound-Rebka, and the falsification of gamma. 3. CALCULUS. The calculus works, despite many fudges and cheats. 4. QUANTUM PHYSICS. Early mistakes, including superposition, entanglement, tunneling, nonlocality, Bohr's equations. 5. ELECTROMAGNETICS. Solid-state fudging, current, inductance. Also the Sun and planets. Tides. Bode's Law and interplanetary influences. 6. GRAVITY. Celestial Mechanics, Laplace, Allais, Cavendish, GOCE, BICEP2, plate tectonics, Roche, vacuum catastrophe, black holes. 7. QED and QCD. The quantum spin equation. Feynman, Higgs, neutrinos, Landau, mesons, fine structure constant. 8. LIGHT and CHARGE, including dark matter, photons, heat, the Rayleigh equation, blackbody radiation, rainbows, diffraction and refraction. 9. 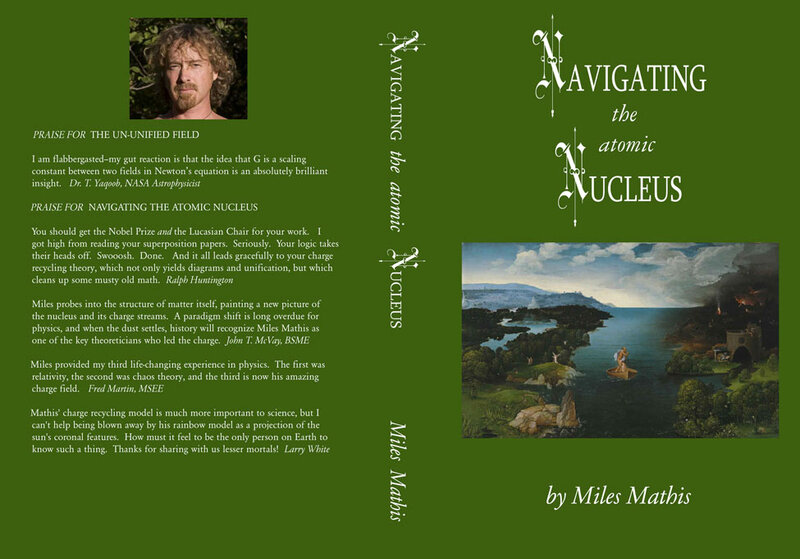 The ATOMIC NUCLEUS. Charge channeling and nuclear diagrams. 10. OTHER MAINSTREAM MISTAKES. Hawking, physics prizes, pi, Godel, Cantor, Olbers, Noether, Goldbach, string theory. i. Preface. A broad overview of the current state of physics and math, and an explanation of my intent with this book. 5pp. ii. The Central Discoveries of this Book. What I believe I have achieved; an overview. 7pp. iii. Death by Mathematics. The pre-meditated murder of physics. 8pp. iv. Eleven Big Questions you should have for the Standard Model of Physics. 11 chosen from 11,000. 6pp. 1. A Revaluation of Time. This paper offers a simple operational definition of time, one which is useful in understanding the papers that follow. 6pp. 2. Angular Velocity and Angular Momentum. Both current equations are shown to be false. 5pp. 3. Unified Fields in Disguise. 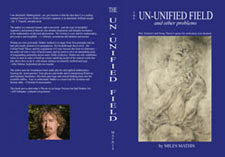 I show that we already have two successful and correct unified fields, hiding in plain sight. 5pp. 4. The Kinetic Energy Equation. Another big hole in your physics book. 5pp. 5. The Equation v = v0 + at is False. An even bigger hole in chapter one of your physics book. 2pp. 6. Explaining the Ellipse. Holes in the elliptical theory of orbits are filled at last. 5pp. 7a. My Opposition. I have bumped this paper up to section i., to be sure my opposition didn't miss it. Also see #367 below. 10pp. 7b. A Letter from the Mainstream. I publish here a series of emails I received several years ago from a mainstream physicist, as confirmation from the inside that I am right, both in my criticisms of academic physics and in my new theories. 7c. Another Letter from the Mainstream. I publish here a more recent email from a mainstream researcher, showing that not only am I being read by real physicists in the field, but that I am able to solve their problems where the mainstream cannot. 8. The Moon Gives up a Secret. Numbers from the Moon are analyzed to show that "gravity" is a compound field. 4pp. 9. 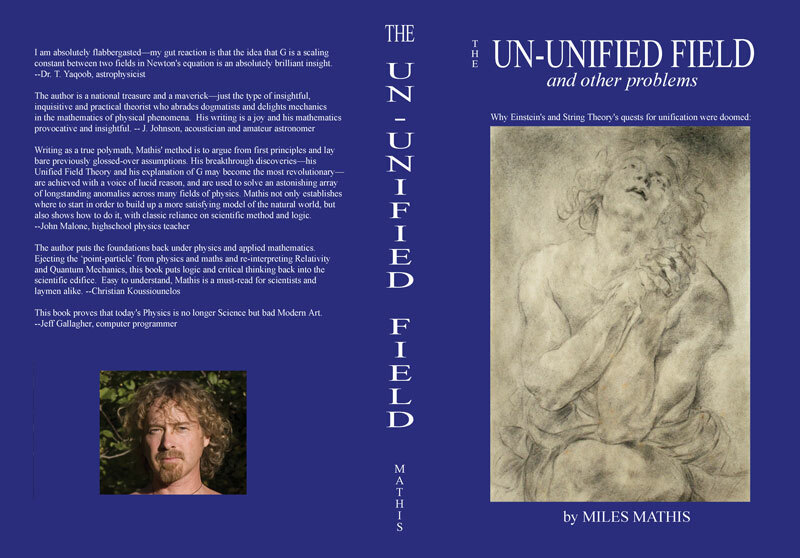 The Unified Field Theory. Newton's gravitational equation is shown to be a compound equation that includes the E/M field. I mathematically separate the two field equations, do transforms on them, and create simple and useful Unified Field Equations. 24pp. 10. The Unified Field Equation is Confirmed. I show that my velocity equation from the galactic rotation problem is equivalent to my relativistic unified field equation, from the paper above. 2pp. 11. The Grand Unification Theory. I show that my UFT is also a GUT. 3pp. 12. Gauss' Law as a Unified Field Equation. Defining the electrical constant is all we need to open up Gauss' Law. 5pp. 13. Gauss' Electrical Law = Gauss' Gravity Law. And they are both Unified Field Equations. 4pp. 14. Maxwell's Equations are Unified Field Equations. I show that the displacement field is really my charge field, and that Maxwell's equations are unified. 11pp. 15. Maxwell's Equations are Unified Field Equations, part 2. I show how Maxwell's vortices fail, how to correct them, and how to calculate the charge field C from the Electrical Field E. 7pp. 16. The Virial Theorem is False. Showing that Lagrange did not do what he is said to have done. 7pp. 199 (moved). On Laplace and the 3-Body Problem. Showing that Laplace did not do what he is said to have done. 12pp. 200 (moved). Perturbation Theory in the Light of Charge. This is a continuation of my paper on Laplace, showing specific examples of the charge field in historical field equations. I also show Newton's close pass to the Lagrangian. 8pp. 17. The Charge Field Causes Lagrange Points. I analyze the Lagrangian and Lagrange points. 14pp. 18. Unlocking the Lagrangian. I thoroughly scrub the Lagrangian, showing that it is another unified field equation in disguise. 10pp. 19. The Universal Gravitational Constant. I follow a hint from Maxwell to give the dimensions of G to the mass. 6pp. 20. What is G? It is the transform from one radius to another, but not the radii you think. 9pp. 21. More Developments on G. I try to explain the 2.5 discrepancy between G and the cubed Dalton. 4pp. 22. How to Unify the Constants G, k, and α. I show the simple equation, tying all three to the Bohr radius as well. 5pp. 23. Is Big G a Constant? No. A brief clarification on this, as well amusing commentary on Rupert Sheldrake and his detractors. 6pp. 24. Relativity as a Concept. An introduction to the problem, preparing the reader for the mathematical arguments in later papers. 6pp. 25. Relativity Demystified. Here I try to explain both SR and GR in the simplest and clearest possible terms, for laymen and experts alike. 14pp. 26. The Michelson/Morley Interferometer. Here I explain the flaws in various conceptualizations of the interferometer, showing that no fringe effect should have been expected. It was originally published as Appendix A to the long paper in chapter 30. 12pp. 27. A Final Simplification of the Problem (of Special Relativity). This is a short paper glossing my main corrections to Einstein’s transforms. It was written after the papers in chapters 28, 29 and 30. 6pp. 28. The Discovery of First-Degree Relativity and the Refutation of Gamma. This is the paper I sent to several journals, including Annalen der Physik and Physical Review Letters, from 2001 to 2004. It condenses the information from the longer papers in chapters 12 and 13. 21pp. 29. A Critique of Einstein's Original Paper. Here I attack Einstein line for line, using "On the Electrodynamics of Moving Bodies" (Annalen der Physik, 1905) as my text. This was to answer critics of my first paper [chapter 13] who believed that Einstein’s paper of 1905 still had precedence over math published later in the books Relativity and The Meaning of Relativity. This paper was originally published as Appendix C to the longer paper below. 12pp. 30. An Algebraic Correction to the Transformation Equations (The Lorentz Equations) of Special Relativity. This is my first paper on Special Relativity. It includes new first- and second-degree transforms, as well as new transforms for movement toward an observer and at an angle to an observer. In addition, it explains the interferometer, discusses the Hafele-Keating experiment, and suggests a solution to the Pioneer Anomaly. 48pp. 31. How to Win an Argument about Relativity as Quickly as Possible. The top five cards in your hand. 7pp. 32. The Light Clock. A close analysis of the light clock, showing the many ways it fails as a visualization of time dilation. 3pp. 33. A Final Argument against x' = x – vt. A short addendum to my proofs against this equation, once again using a text of Feynman as an example. 2pp. 34. The Equation x' = x - vt, Again. One more useful visualization of the problem, focusing this time on the immobility of origins in relative motion. 3pp. 35. My Relativity Corrections simplified once more. Taking the x' = x -vt problem back to Woldemar Voigt, 1887. 5pp. 36. Proof that Classical Action is Invariant in a Galilean Transformation. A reply to a paper in American Journal of Physics that claimed that action was not invariant in a Galilean transformation. This transformation is x' = x -vt. 3pp. 37. Why the Transforms of Special Relativity are not Symmetrical. A return to this familiar problem, explaining it as a question of symmetry. 3pp. 38. Answering some tough question about Special Relativity. Concerning variable assignments. 4pp. 39. A Break in the Pioneer Case. An article written for a popular journal showing, in the simplest possible way, the cause of the anomaly. 4pp. 40. How the Loss of Gamma affects Minkowski’s Space-time Equations. In this paper I show how Minkowski’s math must be affected by my corrections to Special Relativity. Also see chapter 46 below. 5pp. 41. How New Transforms in Special Relativity Affect Mass, Momentum and Energy Equations. Here I show that Einstein’s mass and energy transforms are also incorrect, including the famous E=mc2. I also show, for the first time, that the classical equation E=mv2/2 is not an approximation. Finally, I derive the number 108 for the proton. 41pp. 42. New Mass and Energy Transforms—a Gloss. A much shortened argument, compressing the paper in Chapter 41. 11pp. 43. An Overview of my Mass Increase Papers. A 2-page presentation of findings only, with no derivations and no analysis. 2pp. 44. The Failure of the Friedmann Metric. I show how the Manhattan metric destroys the Friedmann metric, and all current metrics. 4pp. 45. More Problems with the Friedmann Metric. I show that the generic metric is mathematically compromised in many ways, the most important of which is its hidden derivation from x' = x - vt. 7pp. 46. The Einstein Field Equations, Part 1. I continue my previous analyses of the General Theory, going straight the original papers of Einstein. 14pp. 47. The Einstein Field Equations, Part 2. I continue my previous analyses of the General Theory, concentrating here on subsection 5, where I show the total collapse of the proof. 5pp. 48. The Einstein Field Equations, Part 3. I continue my previous analyses of the General Theory, concentrating here on subsection 13, where I show how the fundamental tensor fails. 8pp. 49. Lorentz Invariance. How my corrections affect so-called Invariance, covariance, and violations. 4pp. 50. A Critique of General Relativity. A refutation of Einstein’s thought problem of the spinning disk and an analysis of the tensor calculus. Also, a solution to the primary problem of GR (the deflection of starlight) without tensors or Riemann. 13pp. 51. The Biggest Black Hole in General Relativity. There is no impulse to motion from rest in Einstein's field equations. 9pp. 52. More Problems with General Relativity. I show that the current number 1.75 for bending of starlight is compromised by gamma. 4pp. 53. The Aberration of Starlight, including analysis of Airy's water-filled telescope, the Sagnac Effect, the Hammar experiment, and the Lodge experiment. 18pp. 54. An Explosion of the Pound-Rebka Experiment. I show that the math behind this experiment is a fudge. 10pp. 55. Why Hyperbolic Math is not applicable to General Relativity. Here I show the flaw in i and the assumption that time travels orthogonally to x, y, z. Also see #56 and #170 below. 2pp. 56. Another Critique of Curved Space, using an analogy to the electrical field. 4pp. 57. The Trouble with Tensors, a critique of the tensor and the tensor field as used by GR. 8pp. 58. The Perihelion Precession of Mercury. A long critique of the historical problem, showing the major errors of Einstein and others. 32pp. 59. The Perihelion Precession of Mercury, the short version. A gloss of the longer paper. 3pp. 60. The Easy Solution to the New Saturn Anomaly. My solution to Mercury also solves the Saturn Anomaly. 3pp. 61. How to Solve General Relativity Problems without the Tensor Calculus (in 1/100th the time). The title says it all. 3pp. 62. A Mathematical Explanation of the Orbital Distance of Mercury. The Unified Field shows us exactly why Mercury is where it is. 8pp. 63. How General Relativity Solves the Metonic Cycle. A mechanical explanation of the cycle, with all the math. 9pp. 64. The Principle of Relativity, or How Relativity hides the Charge Field. A rare old book reveals new things. 8pp. 65. The Mysterious Muon, showing that the muon is not proof of time dilation. 8pp. 66. Mucking up the Muon Math, showing how the SR transforms are misused. 7pp. 68. Tesla and Einstein were Both Right, about the ether. 8pp. 69. The Born-Einstein Letters, extended commentary on QED, GR, and other subjects. 14pp. 70. The Light-Speed Submarine Problem. A much simpler solution than all the others. 2pp. 71. Einstein, Black Holes, and New York Times Propaganda. Einstein as inverted poster boy. 7pp. 72. A Re-definition of the Derivative (why the calculus works—and why it doesn’t). This paper establishes for the first time the true foundation of the calculus. Rather than pursue a diminishing differential, as has been the quest of history, I have discovered the constant differential underlying the basic equation of the calculus. In doing this, I show that instantaneous values are impossible. 40pp. 73. The Calculus is Corrupt. The huge cheat of Lagrange is used all the time. 3pp. 74. The Proof of the Derivative for Powers is False. I show yet another reason the proof by going to zero is wrong. 10pp. 75. My Calculus applied to the Derivative for Exponents. I show that the current slopes of ax and ex are wrong. I also analyze the proof for ex, and show that the calculus is taught upside down. 15pp. 76. The Derivatives of ln(x) and 1/x are Wrong. I show many problems with the current proofs, and correct them, finding new slopes as well. 15pp. 77. The Derivative of log(x) is also Wrong. I show more problems with the Modern Calculus using my simple differential tables. I find a new slope for log(x) which is fantastically close to the current slope, but which comes from a completely different analysis. 5pp. 78. A Study of Variable Acceleration. I show that the calculus is currently taught upside down, by analyzing a textbook solution of cubed acceleration. 8pp. 79. Calculus Simplified. A compression of my long paper on the calculus. 13pp. 80. Trig "Derivatives" found without the old Calculus. Here I show that my simple exponent table from my calculus paper, and the constant differential, apply just as easily to trig functions. 3pp. Also proof the chain rule is fudged. 81. The Derivative of sin5x. More evidence that the chain rule is fudged. 14pp. 82. Another Fatal Flaw in the Historical Foundation of the Calculus. A further flaw in the current proof of the derivative, specifically in the assumption that the terms in an infinite series can approach a limit. I show that the sum approaches the limit, but the terms do not, nullifying the accepted procedure. 4pp. 83. A Disproof of Newton's Fundamental Lemmae. Newton's first 8 lemmae from the Principia are shown to be false. 6pp. 84. A Correction to a=v2/r (and a refutation of Newton's Lemmae VI, VII & VIII). In this paper I expose the errors in the derivation of a=v2/r, one of the bedrock equations of circular motion. In doing so I falsify Newton's famous Lemmae VI, VII & VIII from the Principia. 17pp. 85. A Clarification of the Equation a=v2/r. I import new information from my π papers to extend my findings regarding orbits. I also show that the centripetal acceleration is not instantaneous. 6pp. 86. We Watch Maxwell Finesse an Equation. Another failed proof of a=v2/r. 4pp. 87. A Fudged Proof of a=v2/r on Youtube. I give this a thorough scrubbing, bringing down the Lagrangian again. 7pp. 88. Lev Landau Fudges the Orbital Math. I go through an old textbook, showing the incredible cheats. 13pp. 226 (moved). A Conundrum concerning the Surface Area of a Sphere. The spherical surface area proof was done better by Archimedes than by this modern integral proof, which is pushed. 8pp. 89. Quantum Mechanics and Idealism. My paper on the calculus is tied to QED here. Also a comparison of the idealisms of Heisenberg and Berkeley. Finally, a disproof of both idealisms, and a simple logical and mathematical refutation of the Copenhagen interpretation. 10pp. 90. The Copenhagen Interpretation. The fall of physics in the 20th century. 11pp. 91. Superposition. Both superposition and the wave-particle duality are explained mechanically, with a straightforward visualization. This falsifies the Copenhagen interpretation in the most direct way imaginable. 5pp. Also see #72 below. 92a. Superposition Again. The problem of beam splitters in sequence is solved mechanically, with diagrams. 6pp. 92b. Polarizers in Sequence. I pull apart another Youtube video for my readers, showing the layers of misdirection we continue to get from mainstream physics. 4pp. 93. Quantum Entanglement. A critique of David Z. Albert's new article at Scientific American, and a mechanical explanation of entanglement. 8pp. 94. Quantum Teleportation? NO. I show that the current interpretation is fudged in at least three major places. 6pp. 95. CHSH Bell Tests. Another bold mathematical cheat from the mainstream, done right under your nose. 3pp. 96. Schrodinger's Cat. Where I give Schrodinger's cat mouth-to-mouth, bringing him back to life. 5pp. 97. On Quantum Nonlocality. I show the real mechanical solution, correcting and extending the wavefunction to do it. 6pp. 98. Quantum Tunneling. Another awful fudge exposed. 3p. 99. Planck's Constant and Quantization. A mechanical explanation for why energy is quantized, using spins. 7pp. 100. The Planck Relation and the Mass of the Photon. How Planck's Constant hides the mass of the photon. 2pp. 101. The Collapse of the Wave Function. Written as an introduction to my paper on Superposition. See #66 above. 7pp. 102. Why Schrodinger's Waves move in Q-space. 5pp. 103. Schrodinger's Waves Mechanics Explained. How can electrons have more than three wave motions in only three dimensions? 4pp. 104. Bohr's First Big Mistake. A major substitution error in the math of the Bohr radius is shown to infect all of QED. 3pp. 105. The Bohr Magneton, and Bohr's second and third Big Mistakes. The Bohr equation and Bohr radius are totally reworked, finding that Coulomb's constant is an expression of the Bohr radius. 10pp. 106. More Problems with Bohr. Part 1 of 2, preparing us to look at the absorption lines of hydrogen. 8pp. 107. Rewriting the Rydberg Formula. I show how the Balmer equation and Rydberg equation can be rewritten to show the mechanics of the charge field. Part 2 of a two part analysis. 8pp. 108a. The Specific Heat Problem of Electrons. I unwind another longstanding fudge from the mainstream, and correct it using the charge field. 24pp. 108b. Levitation by Heat. I analyze a recent experiment and announcement from the University of Chicago, showing how it acts as proof of my theory of heat, my theory of rising charge, and disproof of mainstream theory across the board. 12pp. 108c. New “Electron Paradox” again proves my Charge Field. I show that the “superballistic” motion of electrons in metals is not a paradox or quantum effect, but a simple outcome of charge channeling and photon potentials. 9pp. 109. Rewriting the Schrodinger Equation. I show that the current equation is badly finessed, and begin the work of replacing it. 11pp. 110. The Heisenberg Uncertainty Principle is Dead. A response to Scientific American propaganda. 5pp. 111. Quantum Mechanics and Conspiracy Theory. More strange goings-on at Columbia University. 6pp. 112. The Stern-Gerlach experiment. The mathematical and axiomatic flaws in the experiment, including the illogic of a dipole electron and a spin of 1/2. 6pp. 113. Three Big Problems Solved Mechanically: partial reflection by glass, the right-hand rule, and Feynman's shrink-and-turn method. 13pp. 114. The Compton Effect, Duality, and the Klein-Nishina formula. I analyze and correct all three. 6pp. 115. Coulomb's Equation. Tying Coulomb's constant to the Bohr diameter, to show that the charge field is real, not virtual. 10pp. 116. Why the Magnetic Monopole cannot Exist. Because the E/M field is not a dipole. 4pp. 117. The Drude-Sommerfeld Model, and the problem of heat capacity. I redefine heat capacity, leading to simplified theory. 7pp. 118. The P-N Junction without Holes. I explain the diode without electron holes or tunneling. 36pp. 119. The Hall Effect: a Charge Field Explanation. I ditch electron holes, offering a logical and mechanical theory for the Hall Voltage. 17pp. 120. An Analysis of Anderson Localization. A destruction and a replacement. Anderson Localization falls with the Drude-Sommerfeld model. Also a look at bio-reflectivity. 27pp. 121. Dielectrical Polarization. A complete reworking of this phenomenon, using charge. 15pp. 122. Superconductivity, explained mechanically by the charge field. 3pp. 123. Superfluids Explained by the Charge Field. No "holographic duality", just charge. 8pp. 124. How Magnetism works Mechanically. With spin and the unified field. 11pp. 125. The Barkhausen Effect. No domains, only charge channeling. 2pp. 126. How a Battery Circuit Works. Not the mathematical or field model, but the full mechanical model, with photons. 9pp. 127. Alternating Current and Inductance. I explain both with the charge field. 8pp. 128. The Electron Orbit. Uncovering the greatest hole in quantum mechanics and filling it. 8pp. 129. The Toroidal Topology of the Electron? An analysis of Williamson and van der Mark's 1997 paper. 6pp. 130. Zero-point Energy and the Casimir Effect. Zero-point energy is not infinite and the Casimir Effect is not an outcome of quantization. 18pp. 131. An Analysis of the Dynamical Casimir Effect. including a look at the Sokolov-Ternov Effect. 9pp. 132. The Hole at the Center of the Sun. The charge field fills the hole in Solar theory. 8pp. 133. Magnetic Reconnection and Coronal Temperatures. I replace the sad theory of magnetic reconnection with photon or charge interaction. 10pp. 134. How the Charge Field causes the Ice Ages. Charge from the galactic plane and Jupiter replace Milankovitch. 8pp. 135. The Cause of the Solar Cycles. The magnetic and sunspot cycle is shown to be caused by charge from the Jovians. 8pp. 135b. Climate and the Seasons. I just found a paper from more than a year ago that I posted but forgot to link into this Updates page. So it is new to you, I think. 14pp. 136. Radioactivity and the Sun. How the Sun affects radioactivity on the Earth. 2pp. 137. Galactic Magnetism. I take a quick look at the press release from the Max Planck Institute. 138. Why the Standard Kilogram has lost weight. Charge fluctuations in the galaxy. 5pp. 139. The Trouble with Tides. A thorough exposé of the holes in current tidal theory. 10pp. 140. More Trouble with Tides. An analysis of Newton's Prop. 66. And I show the simple math proving the eccentricity of the Moon is caused by the Solar Wind. 10pp. 141. The Solution to Tides (Part 1). The solution, replacing gravity with E/M as the main cause. 17pp. 142. The Solution to Tides (Part 2). The mechanical cause of spring and neap tides. 7pp. 143. The Solution to Tides (Part 3). The mechanics of M2 and much more. 11pp. 144a. The Solution to Tides (Postscript). Lunar effects and the E/M field. 2pp. 144b. The Solution to Tides, part 3.2. After eleven years, I finally have something new to say about tides. 2pp. 145. The E/M Fields of Solar System Bodies. How to create Solar Wind exclusion without a magnetosphere. 4pp. 146. The Cometary Antitail. Comets disprove current theory and prove my theory of the charge field. 13pp. 147. The Strange Moon Enceladus. Where we discover this moon is far too bright for current theory to explain. 17pp. 148. More on Enceladus and Albedo. I show that the mainstream has covered up the brightness of all celestial bodies, including the Moon. I replace "opposition surge" with a mechanical explanation using the charge field. 11pp. 149. The Magnetopause calculated from the Unified Field. More Solar Wind anomalies solved with the charge field. 9pp. 150. The Moon's Ionosphere. More proof of charge recycling by solar system bodies. 5pp. 151. Why is Mercury's Magnetism 1% that of the Earth? Simple equations show the answer. Also, more proof of charge recycling from the MESSENGER satellite. 6 pp. 152. The Cause of Axial Tilt, Part 1. Not collisions in the distant past, but charge "perturbations" from other planets. 10pp. 153. The Cause of Axial Tilt, Part 2. Nutation; plus the solution to Jupiter. 7pp. 154. The Magnetic Fields of Uranus and Neptune. I use the charge field to explain these as well. 8pp. 155. Where is the Magnetism of Mars? I show a balance in the ambient charge field. 3pp. 156. Icecaps on Mercury prove my Charge Field. Charge recycling explains this simply, where the mainstream cannot explain it at all. 5pp. 157. Bode's Law. A complete explanation of and correction to Bode's Law. 19pp. 158. The Eccentricity of the Earth calculated using the Charge Field. I show how to go from axial tilt to eccentricity in one line of math. 8pp. 159. The Coriolis Effect Deconstructed. I replace the Coriolis motion with charge. 11pp. 160. Birkeland Currents. I show that these currents must pass through the Earth. 11pp. 161. The Polar Aurorae. I show the aurorae are caused by charge channeling. 7pp. 162. Atmospheric Pressure and the Charge Field. Atmospheric weight is another myth. 17pp. 163. The Unified Field explains the Atmosphere. We look at oxygen, nitrogen, argon and CO2, finding that the charge field explains many things. 15pp. 164. CO2 and Charge. I show a better way to calculate residence times for CO2. 7pp. 165. Why does Hot Air Rise? The charge field fills another hole. 3pp. 166. The Main Cause of Solar System Instability: Smaller planets orbiting above larger ones. 5pp. 167. Celestial Mechanics. A demonstration of the inadequacies of current theory regarding gravity, orbits, and nebulae. 18pp. 168. Another Hole in Celestial Mechanics. The late Ralph Rene gives us an important clue: The force on the Moon from the Sun is greater than the force on the Moon from the Earth. 4pp. 169. Why Celestial Mechanics is Deterministic. Also why chaos theory and perturbation theory are wrong. 5pp. 170. Why Non-Euclidean Geometry is a Cheat. Also a critique of the complex number plane. 21pp. 171. The Third Wave: a Redefinition of Gravity, Part I. No curved space, no force at a distance, no force-carrying particle. Gravity is explained here simply in terms of straight-line motion. Mass, inertia and gravity are all shown to be equivalent, reducible to the same motions. 9pp. 172. The Third Wave: a Redefinition of Gravity, Part II. An explanation of both atomic and macro orbits using the expansion "field" and the E/M field. 7pp. 173. The Third Wave: a Redefinition of Gravity, Part III. An explanation of the inverse square law using expansion theory. It is also shown that the Standard Model contradicts the law. 6pp. 174. The Third Wave: a Redefinition of Gravity, Part IV. Retrograde orbits, Triton, and the lack of angular momentum in the Sun are explained. 10pp. 175. The Third Wave: a Redefinition of Gravity, Part V. The aberration of starlight and gravity at the quantum level are explained. A proposal concerning the strong force is also made, linking it to the expansion of matter. 14pp. 176. The Third Wave: a Redefinition of Gravity, Part VI. The Ideal Gas Law as proof of Expansion Theory. 3pp. 177. The Third Wave: a Redefinition of Gravity, Part VII. The Moon as proof of Expansion Theory. Mass and weight using both the gravitational field and the E/M field. 15pp. 178. An Update on Weight, in which I falsify F=GMm/R2 using a new thought problem. 19pp. 179. The Third Wave: a Redefinition of Gravity, Part VIII. Genesis. I introduce a new cosmology to contain my mechanics. 7pp. 180. The Third Wave: a Redefinition of Gravity, Part IX. The optical size equivalence (angular diameter) of Sun and Moon as proof of my theory. 13pp. 181. The Speed of Gravity. I show that the speed of gravity is not c, but infinite, by analyzing papers of Fomalont & Kopeikin, van Flandern, and Carlip. 11pp. 182a. The Cause of Gravity. I show perhaps a better way to create the vector of gravity, without expansion. 5pp. 182b. Why Gravity is not a Function of Charge. A short paper, explaining why I have unified gravity and charge, but not resolved them into one field. 3pp. 183. Expansion Theory, an interlude. A short gloss of the last decade's work. 4pp. 184a. The Central Engine. What drives the galaxies? 3pp. 184b. The Galaxies Provide More Proof of my Charge Field. New evidence from Centaurus shows dwarf galaxies moving in grand charge arcs. 5pp. 185. The Cavendish Experiment. I show a compensation of errors in all such experiments. 37pp. 186. The Allais Effect and Majorana. Plus commentary on LeSage, Podkletnov, NASA, Wiki, and others. Showing how my compound field answers anomalies where other fields do not. 32pp. 187. How my Unified Field solves the Galactic Rotation Problem, including a critique of the math of MOND and of the dark matter solution. 7pp. 188. The GOCE Satellite proves the Unified Field. The new model cannot be explained by gravity-only. 4pp. 189a. Gravity Waves of Propaganda. I analyze the announcement of gravity waves in 2014 from BICEP2. 24pp. 189b. Gravity Waves of Propaganda, the sequel. I analyze the announcement of gravity waves in 2016 from LIGO. 29pp. 189c. The Big Lie-go. My third paper on Lie-go. I said I wasn't going to stop just because they won the Nobel, and this is proof. 10pp. 190. The South Atlantic Anomaly and the charge field. A new mechanical explanation. 7pp. 191. The Equatorial Anomaly. I show the mainstream explanation is wrong here, and give you the right one. 11pp. 192. What Causes the Earth's Heat? CHARGE. How to calculate the Earth's heat straight from the fundamental charge. 9pp. 193. Emitted Charge and Ambient Charge. Two ways to calculate the charge of planets, and how to go from one to the other. 6pp. 194a. Plate Tectonics and Charge. Charge as the driving force of drift and tectonics. 10pp. 194b. Pole Reversals as Proof of my Charge Field. I explain the pole reversal of the Earth using charge rather than core dynamo theory, solving many mysteries. 5pp. 195. An Experiment to Test the Charge Field, Using the heat of the Earth. Plus an explanation for the hottest places on Earth. 5pp. 196. The Sad Theory of Isostasy. I pull apart both the math and the theory, going back 160 years to do so. 7pp. 197. The Schiehallion Experiment Exploded. Numbers from 1774 take a tumble, destroying another "classic" experiment (like that of Cavendish). 7pp. 198a. Canada's Gravity Deficit. I replace the Simons/Hager pseudo-theory with a real mechanical theory, using the unified field. 13pp. 198b. The Wilkes Land Anomaly and the Charge Field. I show the “gravity” anomaly in the Antarctic is caused by neither a giant crater nor by a buried alien object, but by the incoming charge vortex. 10pp. 201. Gravity: Misdirection from the New York Times. I critique Erik Verlinde's theory of no-gravity. 4pp. 202. Gravity Probe B, and curved space. This experiment, like Hafele-Keating, is shown to be a fraud. 8pp. 203. NASA's Lunar Gravity Maps. These maps are currently misinterpreted, and I show you the correct interpretation. 10pp. 204. A Recalculation of the Roche Limit. Showing that current math is wrong, and how to find a different kind of limit. 12pp. 205. The C-orbit Asteroids prove the Unified Field. New asteroid paths cannot be explained with gravity-only. 3pp. 206. Gravity at the Quantum Level. All the math for the unified field at the quantum level, including a force between the electron and proton. 9pp. 207. The Vacuum Catastrophe. I solve it with the unified field. 10pp. 208. Why Exponential Inflation is Impossible. One of the pillars of Big Bang theory falls. 9pp. 209. Accelerating Expansion? No. I critique Perlmutter, Schmidt and Reiss. 6p. 210a. Hubble Redshifts and the Cosmic Background Radiation. Two more pillars of Big Bang theory fall. Also new commentary on the cosmological constant. 12pp. 210b. Halton Arp, Quasars and Redshifts. Where we find redshifts aren't caused by doppler, and a whole lot more. 11pp. 211. The PLANCK Probe's CBR Map. Rather than indicate the Cosmic Background Radiation, the newest maps are clear evidence of my ambient Charge Field. 6pp. 212. The Theory of Tired Light, how it is wrong and how it is right. 6pp. 213. A Call to Astronomers. A call to astronomers for confirmation of a prediction concerning the bending of starlight by Jupiter. 4pp. 214. Bending of Starlight by the Planets. Experimental proof of my theory of gravity. 7pp. 215. Star Formation. Not gravitational collapse; unified field collapse. 7pp. 216. Bending of Starlight, a clarification, answering a reader's query with more lovely diagrams. 3pp. 217. Gravity and Mach's Principle. Extended comments on both, including clarification of my recent paper on the cause of gravity. 8pp. 218. Against Gravitational Lensing, a critique of the theory and of the candidates. 11pp. 219. Pilot Waves? No, Charge. I pull apart "heretical" theory, including DeBroglie, Bohm, Bell, and Valentini. 8pp. 220. EVO's and the Charge Field. I analyze a paper by Ken Shoulders, showing more proof of the charge field. 4pp. 221. Why the Singularity cannot Exist, and why Loop Quantum Gravity is wrong. 7pp. 222a. The Myth of the Black Hole, commentary on black hole theory. 9pp. 222b. Black Hole Signatures Called into Question. Where we look closely at a recent peer-reviewed paper on black holes, finding that mainstream physicists are not all onboard. 6pp. 223. Black Holes & Quasars, New theory for exotics. 8pp. 224. The Problem with Reduced Mass. Accelerations cannot be added or subtracted. 8pp. 225. We Watch Pascal Finesses a Proof. The spherical surface area proof was done better by Archimedes. 6pp. 227a. Why the Atomic World is 100 Times Larger than We Thought. Important corrections to Rutherford's scattering equations yield new size estimates. 8pp. 227b. What Rutherford really Proved about the Electron. Also more information about the positron. 10pp. 228. Is the Proton Mass just its Radius Squared, and if so, why? I show the simple answer, destroying once again all need for a Higgs boson. 3pp. 229. The Proton Radius Puzzle, solved with simple math and mechanics using the charge field. 8pp. 230. Contra Feynman. Some introductory comments on Richard Feynman, including a critique of Dicke's experiment. 13pp. 231. Richard Feynman and the Glorification of Heuristics. A further critique of Feynman and QED. 7pp. 232. A Reworking of Quantum Chromodynamics, while dismissing the quark, the bosons, the gluons, the strong force, the weak force, and the Higgs field. Also including a new analysis of beta decay. 22pp. 233. Hadronization. An analysis of the sad theory of hadronization. 8pp. 234. Nuclear Magnetic Resonance. I analyze NMR as an outcome of charge channeling. Also an analysis of EPR, Larmor precession, and the magnetic moment. 21pp. 235. Splitting the Electron? No, not really. I show the holes in spinon theory, then present my own mechanical solution. 10pp. 236. More on the Orbiton. A continuation of the previous paper and a close reading of the letter at Nature, showing how the data on electron splitting is pushed. 11pp. 237. The Infinite Weakness of the Theory of Weak Interaction. A broad dismissal of weak and electroweak theory, and a simpler explanation of parity loss in beta decay. 33pp. 238. The Great Neutrino Muddle. Caused by a simple failure to calculate a margin of error. 4pp. 239. What ARE Neutrinos? Field waves in the charge field. 7pp. 240. The Solar Neutrino Problem. I show that all current solutions are faked, and then provide the real solution. 10pp. 241. The Large Hadron Collider: the beginning of the end for postmodern physics. 9pp. 242. Higgs Boson found (under Bigfoot's Paw). Another fiasco in the making. 6pp. 243. Particle Physicists admit it: the Standard Model is Dead. LHC physicists in the Guardian drop their guard. 4pp. 244. Higgs Parade gets Rained Out. A long analysis of the formal Higgs announcement, showing it is pushed math and propaganda. 20pp. 245a. A Higgs Update. A December 2012 announcement by LHC confirms my predictions from September, concerning multiple "Higgs" at the 120GeV level. 5pp. 245b. The Bottom Baryon. I show that the new “beauty” baryon isn't a baryon and that the theory around it isn't at all beautiful. I show how to create it with spins instead of quarks. 18pp. 245c. The Pentaquark. A better theory, using spin mechanics. 11pp. 246. The Disproof of Asymptotic Freedom, and the breaking of the Landau pole. Two more pillars of QCD fall. 13pp. 247. A Critique of Yang-Mills. The point particle causes another grand failure. 4pp. 248. More on the Mass Gap and Yang-Mills. Showing that there is no mass gap. 3pp. 249. Screening in QED. A simple mechanical explanation. 2p. 250. The Anomalous Magnetic Moment and the g-factor. I show that the magnetic moment is just e/√c, destroying all the current virtual math. 6pp. 251. Evanescent Waves. A new explanation of this, using the charge field. 10pp. 252. Unifying the Electron and Proton. The quantum equation that explains it all. 3pp. 253a. Galactic Proof of my Quantum Spin Model. Spin at all levels. 7pp. 253b. Proof from the Mainstream of my Quantum Spin Equations. Trinity College provides us with a new experiment to analyze. 26pp. 254. A New Experiment proves my Quantum Spin Equation. An article at Physorg.com inadvertantly proves my theory. 4pp. 255. Spin Current without Magnetic Material. A new experiment proves my charge field again. 8pp. 256. The Electron Radius as a Function of c. I show the flaw in the current equation for the classical electron radius: a scaling constant has been left out, giving us a radius too large by 252x. 6pp. 257. The Electron Radius is e2. It is also 1/c2 (using novel dimensional analysis. 2pp. 258. The Proton Radius Puzzle. I show the actual equations for the 4.3% miss, using the charge field. 8pp. 259. Explaining Mesons without Quarks. Stacked spins explain mesons, using the quantum equation. 18p. 260. Hidden Variables. Explaining the fifth quantum field. 2p. 261. The Fine Structure Constant and Planck's Constant. Planck's constant is hiding the photon's mass, and the fine structure constant is just more misdirection. 9pp. 262a. What is the Fine Structure Constant? Not an amplitude, but a mass to charge transform. 3pp. 262b. More on the Fine Structure Constant. I show yet another way to calculate and interpret the fine structure constant, using another gap in mainstream numbers. 9pp. 263. Bremsstrahlung Radiation: a better mechanism. Also anti-Bremsstrahlung, both using the unified particle from above. 5pp. 264a. Lift on a Wing. Plus extended comments on buoyancy and on the raindrop problem. 14pp. 264b. The Magnus Effect, Lift, and Charge. Where we learn more about bending soccer balls as well as about lift on a wing. 3pp. 265. The Wavelength and Frequency of Light are Reversed. 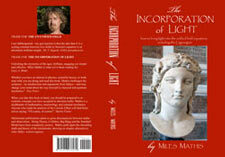 Light theory for 300 years is shown to be upside down. 13pp. 266. Why the Current Light Equations are 6% Wrong. Commentary on my previous paper, plus an explanation of the 6% gap. 3pp. 267. The Stefan-Boltzmann Law, a simplified derivation, showing the mechanics beneath the equation. Also, how to apply the equation to a sphere rather than a flat surface. 6pp. 268a. The Double Slit Experiment. A simple mechanical explanation of the single photon problem and the detector problem. 7pp. 268b. The Stark Effect. Not only do I show charge field causes of both the shift and the split, I show a new cause of spectral lines—one that has nothing to do with electron orbitals. 40pp. 269. Unifying the Photon with other Quanta. Showing that the photon is another spin level of the fundamental quantum. Also, I calculate a mass for the photon. 7p. 270. Where are the B-photons? Hiding in plain sight, as usual. 2pp. 271. A Better Theory of Pair Production. I show a clearer and more extensive mechanics beneath the data and diagrams. 4pp. 272. How Do Photons Travel? I show the local wavelength of the photon and the transform to the measured wavelength. 5p. 273. Redefining the Photon. Including an explanation for why light travels at c. 3pp. 274. Heat, explained by the charge field. 3pp. 275. Compton Scattering: a mechanical explanation, and more proof of the quantum spin model. Plus a new and better explanation of pair production. 6pp. 276. Cyclotron Radiation. Accelerator data proves the mass of the photon and radius of the electron. 4pp. 277. Why is the Sky Blue? Current theory is shown to be upside-down. 13pp. 278. The Brightness of the Sky, or the spectacular fudge that is Raleigh Scattering. 19pp. 279. The Anti-Stokes Fudge. How to explain all photon up-conversion mechanically, using the charge field. 5pp. 280. Rewriting the Rayleigh Equation. A total rewrite, from the ground up. 11pp. 280b. Raman Scattering and the LASER. Where we compare mainstream light theory to mine, showing a huge mismatch. 6pp. 281. Electrical Charge. Defining charge as the mass of the radiation. 9pp. 282. What is "Charge"? It is a resultant acceleration of two fields. 8pp. 283. NASA discovers my Charge Field, Again. Not "lonesome stars," but charge. 5pp. 284. Music from Jupiter, a Song of the Charge Field. How radio waves from Jupiter prove my charge field once again. 4pp. 285. Saturn's Anemic Magnetic Field. I explain this with the charge field. 3pp. 286. A New Galactic Structure is more evidence for my Charge Field. NASA Goddard has an interesting new discovery, and so do I. 3pp. 287. Venus Proves my Charge Field Again. We look at the spin and wind on Venus, as well as at the Electric Universe models. 12pp. 288. The New LED Lightbulb taps the Charge Field. "Atomic thermal energy" IS the charge field. 6pp. 289. The Pushing Force of Light. And why light cannot pull. Refutation of both Minkowski and Abraham by analyzing a recent experiment. 45pp. 290. The "Designer Electron" is a Photon. I explain the new experiments at SLAC. 3pp. 291.The Majorana Fermion. There is no Majorana fermion, just charge photons. 6pp. 292. The Cosmological Constant IS the Charge Field. Compilation of evidence from my other papers. 6pp. 293. The Cosmic Mass Deficit. A simple, logical, mechanical explanation of the mass deficit, without dark matter or any other ad hoc postulate. 4pp. 294. A Critique of the Bullet Cluster Interpretation, showing that charge is the answer, not dark matter. 19pp. 295. An Analysis of Dark Matter. A close reading of the dark matter pages at Wikipedia. 5pp. 296a. The Earth's Dark Matter Halo? No. I clear up more mainstream confusion. 11pp. 296b. Solid Light? NO. While analyzing the recent paper from Princeton, I explain high-temperature superconduction mechanically, including showing the physical cause of the Meissner Effect. This destroys BCS and RVB theory, Cooper pairs, polaritons, dimer math, and the rest of the fudged pseudo-explanations of solid-state physics. 30pp. 296c. Dark Matter Detection? No, just more desperation from the mainstream. I show the axion is another fake particle, created to hide the charge field. 5pp. 297. Dark Matter as Massless Photons in the 4th Dimension? Analysis of a "Through the Wormhole" episode, showing more mainstream propaganda. 5pp. 298. The Heliospheric Current Sheet. More proof of my charge field, and proof against dark matter. 3pp. 299. Voyager 1 and the Heliopause. I show the mainstream explanation fails, and correct it using the charge field. 7pp. 300. A Mainstream Response to my Dark Matter Paper. A "bad astronomy" forum gives us a few laughs. 5pp. 301. NASA's Space Caterpillar. The dust stream in Cygnus OB2 is shown to be caused by charge. 4pp. 302a. What causes Earthquake Lights? The charge field again. 7pp. 302b. New “Star Trek Force Field” more proof of my charge field. The mainstream reports more “puzzling” data, which of course confirms my charge field again. 5pp. 303. Lunar Phases, Charge, and Sleep. A correction of mainstream theory. 9pp. 304. Using the Charge Field to Inflate Evolution Theory. Charge and the active enzyme. 15pp. 305. Brownian Motion, and the charge field. 3pp. 306a. The Photon Spin is Real. We go to the University of Glasgow for indication the orbital angular momentum of the photon is a real spin. 2pp. 306b. An Argument for the Photon. A brief look at the unquantum model, showing that new experiments refute mainstream photon theory, but not the photon itself. 5pp. 307. Why does the Rainbow Curve Down? A new answer, using Alexander's band. 12pp. 308. The White Rainbow. A new theory of cause for the fog bow. 5pp. 308b. My Bicycle Seat as proof of the the Charge Field. Where we look at a curious phenomenon. 4pp. 309a. Rainbows, Prisms, and non-edge Diffraction. Part 2 of my rainbow papers, where I show the color split using the unified field. Including analysis of Goethe's theory of color. 20pp. 309b. Additive Color Theory and Antiphotons. I return to color theory, making an important discovery. 5pp. 309c. Cool Moonlight. More on antiphotons, including discussion of laser cooling and doppler cooling. 8pp. 310a. The Laws of Refraction. A refutation of the new SEAS experiment. 4pp. 310b. Matter from Light. I analyze the recent announcement from Imperial College, claiming the creation of matter from light within a year. 17pp. 310c. A New Form of Light? No! A new experiment at MIT shows once again the superiority of my charge theory. 3pp. 310d. Photons Slowed Below c? Not really. Another poor interpretation from the mainstream causes more confusion. 4pp. 311. The Pressure Flow Hypothesis is False. Transport in the xylem and phloem explained by the charge field. 13pp. 312. The Electromagnetic Field (and the Strong Force). How the E/M field and the strong force have changed due to my new Unified Field. 5pp. 313. More Problems with the Strong Force. I explode the Strong Interaction. 12pp. 314. How to Build a Nucleus without the Strong Force. With simple logic and diagrams. 8pp. 315. How to Build the Elements. Explaining the periodic table, with nuclear diagrams. 71pp. 316. Electron Bonding is a Myth. Molecular bonding explained by the charge field instead. 8pp. 317. Robert Hofstadter and Nuclear Bombardment. I analyze three of Hofstadter's most important papers from the 1950's, showing the Born approximation is a fudge. 26pp. 318. How to Build Uranium. How the stars do it, with diagrams. 4pp. 319. Why is Mercury a Liquid? My nuclear diagrams explain it. 18pp. 321. The Oxygen Molecule. With nuclear diagrams. 4pp. 322. Magic Numbers and the SEMF. A critique of the Semi-Empirical Mass Formula, with nuclear diagrams. 5pp. 323. The Nuclear Shell Model of Wigner. How this model fails, and why my model is superior. With a mechanical explanation of the Pauli Exclusion Principle. 7pp. 324. The Hydrogen Bond. Including a diagram of water. 10pp. 325. Salt is not what we Thought. And neither is molecular bonding. 10pp. 326. An Analysis of Meta-Cinnabar. With nuclear diagrams. 6pp. 327. Uranium tetraFluoride. And other Fluoride compounds, with nuclear diagrams. 14pp. 328a. The Charge Profile of Sr2CuO3. A continuation of the previous two papers, showing how to read the data from Schlappa et al. correctly. 8pp. 328b. Why is Curium the Last Semi-stable Element? I answer that question and a couple of others using my nuclear diagrams. 4pp. 329. Period Four of the periodic table, where I analyze the nuclear structure of many important metals. 20pp. 330. Period Six of the periodic table, where I analyze the Lathanides and the elements around them, showing an important variant nuclear structure. 22pp. 331a. The Great Methane Stink. I show how Methane is created, disproving electron orbital theory once again. 12pp. 331b. Graphene. Where we see all the mainstream explanations are wrong. Why? Because they are based on electron bonding theory, which is a fudge from the first word. 10pp. 332. Diatomic Hydrogen. My new charge bonding explains this much better than electron sharing. Plus an analysis of spin isomers. 9pp. 333. Deuterium and Tritium. I show the nuclear diagrams for these, as well as for heavy water. 20pp. 334. The Phosphorus-Hydrogen Bond. Scientists recently admitted positive Phosphorus bonds to positive Hydrogen, and I show you why. The continued destruction of electron bonding theory, with nuclear diagrams. 33pp. 335. Reaction with the Noble Gasses. How the noble gasses react, with nuclear diagrams. 4pp. 336. The Gas Discharge Lamp. 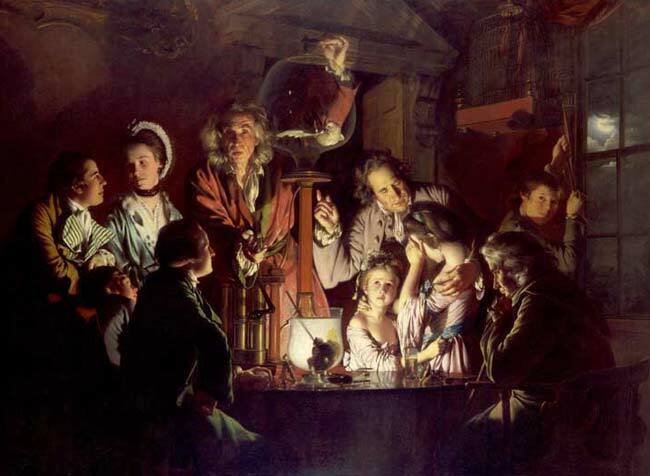 Or, why Noble Gasses make good lamps. A better theory, using nuclear charge channeling rather than electron orbitals. 27pp. 337. Hollow Neon Atoms? New experiments are more proof of charge channeling, not of hollow atoms. 9pp. 338. The Neutron. A closer look at the charge profile of the neutron, confirming repulsion. 3pp. 339. Is Helium4 a Boson? No. A long analysis of bosons, fermions, spin-statistics, and superfluidity. 12pp. 340. The Fourth Phase of Water, part 1. I look at Gerald Pollack's book, analyzing polywater, the exclusion zone, and charge channeling. 15pp. 341. THe Fourth Phase of Water, part 2. I show how Pollack's theory fails, and offer a replacement. 15pp. 342. Why is AntiHelium4 so Hard to Create? I do the math and the physics, showing that the mainstream explanations are wrong. 7pp. 343. The Magnetic Moments of Proton, Neutron, and Electron. I show how the magnetic moments are caused mechanically, using the recycled charge field. I then show how to calculate them from first principles, and to calculate one from the other. 7pp. 344. String Theory: the Inelegant Universe. A Critique of String Theory and M-theory using Brian Greene's book The Elegant Universe as my text, including a foundational correction to the 11-dimensional math. 14pp. 345. Some Introductory Remarks on Cantor. A few observations on point-set topology and infinities. 5pp. 346. Zeno's Paradoxes. A short paper on Zeno's various paradoxes showing, among other things, that I am not opposed to limits or infinities in mathematics or in physics when they are used properly. 6pp. 347. Gödel's Incompleteness Theorems. Commentary in passing on Kurt Godel, including analysis of Karl Popper, Bertrand Russell, and others. 6pp. 348. Why Noether's Theorem is a Tautology. A short proof of Noether's Theorem by algebraic means, showing that symmetries are equivalent to conservation laws. This contradicts the current interpretation that symmetries are primary. 2pp. 349. Entropy. A refining of the concept of entropy, and a rebuttal to the current conceptions of order. 5pp. 350. What is π? Here I show that π is a centripetal acceleration and that the circumference of any circle has complex dimensions. 6pp. 351. The Extinction of π. Here I show that the true value of π, defined as the ratio of circumference to diameter, is 4. 15pp. 352. Proof from NASA that π is 4. Simple proof from Explorer that overturns π. 5pp. 353a. The Manhattan Metric. Where I show the specific links to Hilbert's math, further supporting my contention that π=4 in kinematic situations. 11pp. 353b. The Cycloid and the Kinematic Circumference. I use the cycloid again to explain very briefly why pi=4 when you have motion around a circle. 12pp. 353c. More on the Running Track. This is to clarify my recent addendum to my paper on pi=4. I show that both the distances and velocities are being miscalculated in the curves on normal running tracks. 6pp. 354. A Preliminary Study of the Pyramid as an Electrical Structure. Applying the foundational E/M field to the problem of the pyramid, in a strictly mechanical analysis. 10pp. 355. Mystic Symbolism and the Charge Field. 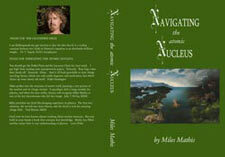 A look at the hexagram, mandala, and the atomic nucleus. 9pp. 356. The Physics behind the Golden Ratio. How the Unified Field provides the contraints that cause the ratio. 11pp. 357. More on the Golden Ratio, and the Fibonacci Series. 7pp. 358. Does Size Matter? The first entry in a new section answering readers' questions. Here I answer a question about the ratio of volume to surface area changing with size. 3pp. 359. Why do Stars Twinkle? A new answer to this question and some commentary on the old answer. 6pp. 360. Olbers' Paradox. A simpler explanation. 3pp. 361. Squaring the Circle. Here I show various operational inconsistencies in claiming that the circle cannot be squared "with a straight edge and compass." 12pp. 362. A Simple Proof of Goldbach's Conjecture, by transforming probabilities into densities. With a visualization. 6pp. 363. A Short Formal Proof of Goldbach's Conjecture, A general, formal proof in fractions only, to support the previous paper. 2pp. 364. Of Monkeys and Typewriters. Current wisdom is once again shown to be unwise. 5pp. 365. The Illogic of Atheism. 14pp. 366. NASA Propaganda for the Standard Model. A Review of the NASA videos at Hulu. 5pp. 367. A Response to my Mainstream Critics. I reprint here an exchange from a Physics Forum, so that you can see how poor the argument against me is. 368. Physics is Corrupt. Physics and pretty much everything else. 4pp. 369. Is Time Travel Possible? In a limited sense, yes, but nothing like the twin paradox or science fiction claim. 3pp. 370. Funding the Future. Which future of physics do you wish to fund, both with your money and your ideas? 3pp. 371. Democracy in Science. How the first has polluted the second. 9pp. 372. Why so Angry? I answer this question from my readers. 3pp. 373. Einstein was Right: modern physicists and reporters are just party people. Analysis of the recent report claiming that it is proved that the universe is open, and will become dark. 3pp. 374. Science PR falls another Notch. 22 year old undergrad discovers missing mass? Nope. 2pp. 375. The Susskind/Smolin Debates. I show they are all misdirection. 15pp. 376. The Brave New World of Stephen Hawking. The dystopia you are being sold. 15pp. 377a. Stephen Hawking died and has been replaced. I show lots of photographic evidence that Hawking died in 1985 and has been played by an impostor since then. 36pp. 377b. They Finally Retire the Stephen Hawking Impostor. You probably know Hawking “died” recently, but unless you are in the UK, you may not know that two months earlier The Daily Mail in London reported on my outing of him as a fake. 3pp. 378. Was Physics taken over by the Intelligence Communities? Operation Ostrich. 8pp. 379. What is the Fundamental Physics Prize? I deconstruct all the PR since July 2012. 23pp. 380 What is the Kavli Prize? I show that, like the Fundamental Physics Prize, this one is also probably a front. 24pp. 381. Sheldrake and the Skeptics. In which I show how both sides are manufactured to divert you. 11pp. 382. Graham Hancock Unmasks Himself. Also an outing of Russell Brand, Daniel Pinchbeck, and Rupert Sheldrake. 8pp. 383. The Revolution is Now! I show that we are winning by visiting a physics forum. 6pp. 384. Why you can ignore the Mayan Calendar Prophecies. The ice core charts as a sedative. 3pp. 385. A Defense of Erik Andrulis. Where I poke another hole in the modern propaganda machine. 5pp. 386. Time and the Photon. I address the question, "If a photon doesn't experience time, how does it travel?" showing the mainstream answer is wrong. 5pp. 387. Is Time an Illusion? NO. We look at recent magazine articles to find more misdirection in physics. 33pp. 388. New Physics dies an Ignominious Death. I critique articles at New Scientist. 5pp. 389. The Death of Polemics. Argumentation in Science has also hit a nadir. 3pp. 390. On Weak Allies. Where I try to convince my allies to speak out more. 3pp. 391. Nobel Prize Winner Boycotts Top Journals. Randy Schekman confirms my analysis of contemporary science, and then some. 9pp. 392. The Two-Envelopes Paradox. A fake paradox with an easy solution. 6pp. 393. Particle Physicists admit it: the Standard Model is Dead. Notes from the LHC tell it all. 8pp. 394. The All-Known-Physics Equation. I show this equation is bombast from first to last. 23pp. 395. Is the Electrical Universe Controlled Opposition? As it turns out, yes. 8pp. 396. A Reply to Michael Shermer and UnScientific American. Yes, it is a hot reply. How did you know? 4pp. 398. PBS Admits I was Right, 15 years later. PBS Spacetime admits my third wave theory is a viable theory. They then try to steal it. 4pp. 6,777 pp. total. 6/1/2018. This total page count was recently revised to reflect the large size of a PDF page, which is about 3 times larger than a standard book page. Not all papers are listed above. See updates for papers not on this list.